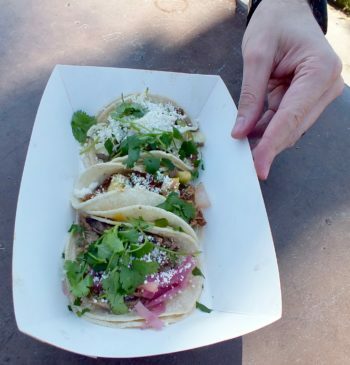 Tacos from Piaggio Truck. Photo by Ed Simon for The Los Angeles Beat. Would you like a beer? Photo by Ed Simon for The Los Angeles Beat.